Jess Abbott of Tancred has undergone prehaps the most complete metamorphosis from bedroom folkie to grunge goddess that I have ever seen. This simply is not what she sounded like a few years ago. Plus there's, well, a band with her on stage now. But her musical themes still tend towards the personal, sometimes confessional, sometimes slice-of-life storytelling. 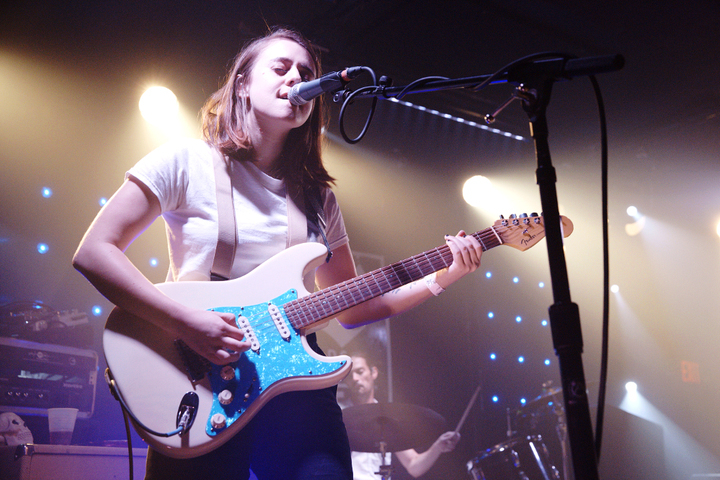 Lots of "I" and lots of "You" in Tancred's music. It's just that now You and I are backed by catchy guitar hooks and the occasional straight up rocking out.